A late brace from a trialist helped Linfield to a pre-season victory over League of Ireland high-flyers Waterford at Windsor Park this evening. 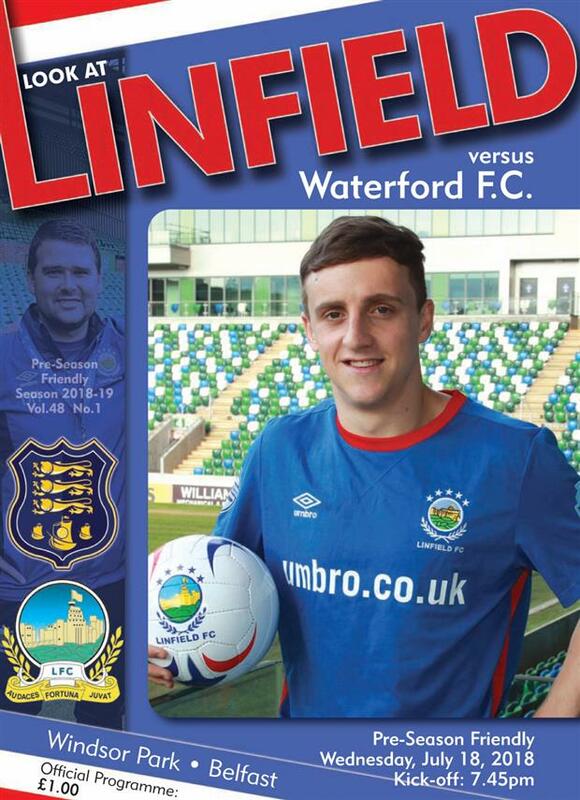 The game was rather even in the opening stages with Linfield showing more of the attacking intent. Jordan Stewart was unlucky on 15 minutes when he was inches away from getting a glancing header to Daniel Kearns’ inviting cross from the right side. The visitors were next to threaten in a dull opening half-hour with midfielder Carlos Wilson picking up on a loose ball before having a shot from 25 yards, he hit it well but it was always on the rise and Roy Carroll watched it fly harmlessly over his crossbar. Impressive new signing Joel Cooper went agonisingly close to an opener for Linfield on 36 minutes, winning a battle in midfield before storming towards the Waterford box, he let rip with a clean strike towards the far corner but it arrowed past the post by an inch. The game finally showed a bit of life four minutes after the break when Waterford took the lead. Despite a brilliant initial block by the flying Mark Stafford to deny striker Izzy Akinade, midfielder Gavin Holohan was following up to slot him with a composed finish low into the net. 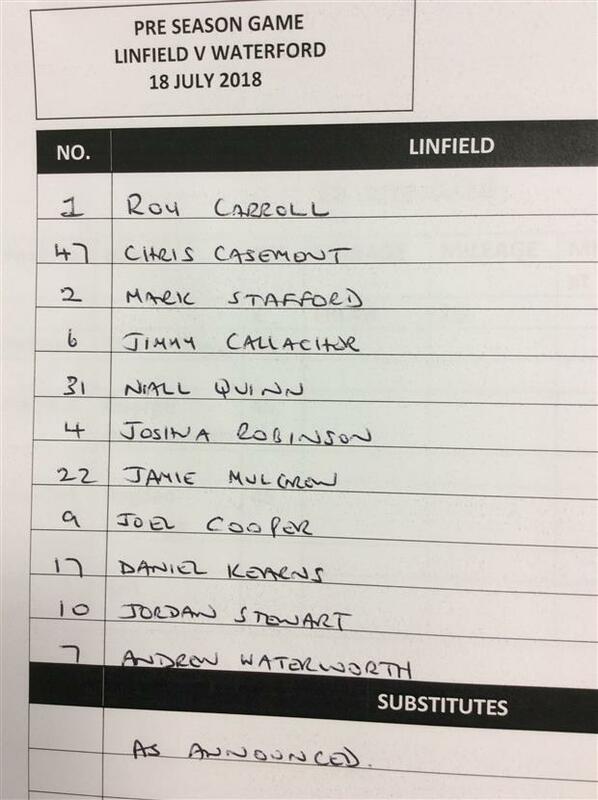 Linfield reacted positively up the other end, with Kirk Millar heading just wide from Joel Cooper’s inswinging cross. The Blues’ trialist also went close with a header from another top cross from Cooper. It could and probably should have been 2-0 to the League of Ireland outfit shortly before the hour when Deano Halloran intercepted a misplaced back pass before running through on goal, however, he drilled a shot wide of the post. The fair-haired striker also threatened with a drive from distance which wasn’t too far off the target a short time later. The Blues deservedly drew level nine minutes from time after neat build-up play. 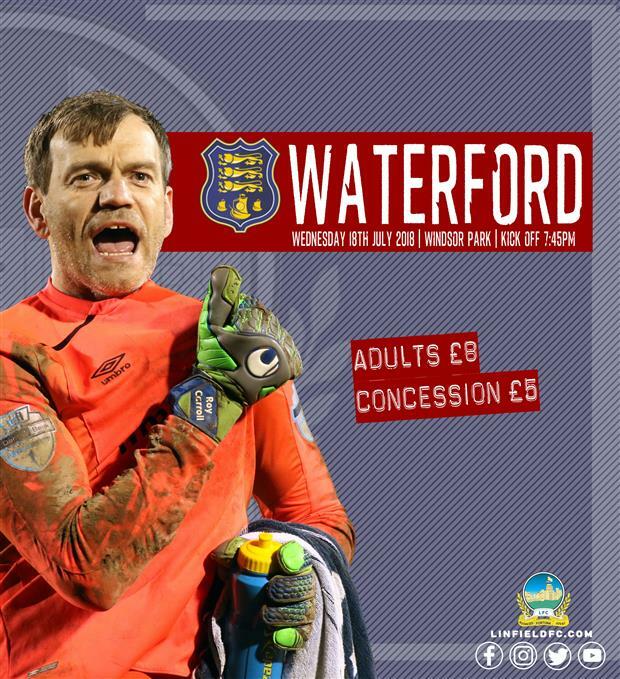 Kirk Millar picked out Matthew Clarke in space at the back post – he saw his header saved by the Waterford goalkeeper but the ball came back out for our trialist striker who made no mistake from the edge of the box, burying the ball low into the net in clinical fashion. The same impressive trialist looked to have been denied a late winner for Linfield by the linesman’s flag after producing another excellent finish into the roof of the net. He wasn’t to be foiled, however, as he struck the winner on 90 minutes and this time it counted. Kirk Millar was the provider, storming onto a through ball into space before lifting his head to see the trialist waiting in space across the box ready to bury the ball into the roof of the net as the goalkeeper watched on helplessly.